Just hours after clinching his third gold medal in the men’s halfpipe, the Olympic snowboarder said he had no plans to retire and suggested the world may see him again in just two years — at the 2020 Summer Games in Tokyo. White turned pro as a skateboarder in his teens and is the only athlete to win a medal in the Summer and Winter X Games. As for his snowboarding career, White said, "I’m definitely not done. I’m going to take a moment to relax and think about what I want to do." 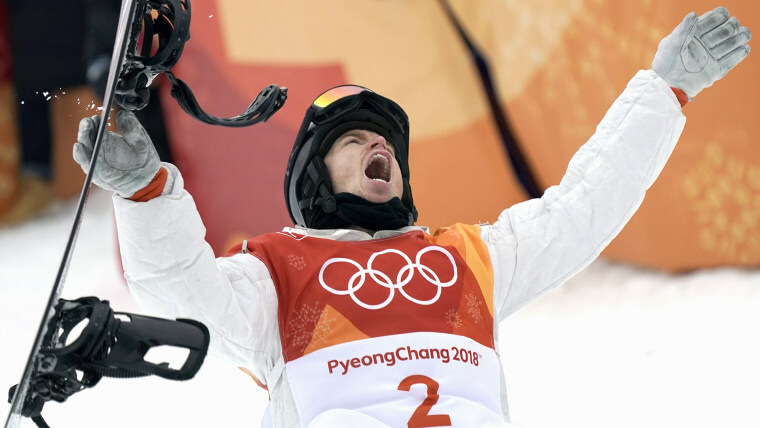 White, 31, made history Wednesday when he became the first snowboarder to win three gold medals. His win also gave Team USA its 100th all-time Winter Olympics gold. White's victory came after landing back-to-back 1440’s in his third and final run down the halfpipe, which he entered in second place behind Japan’s Ayuma Hirano. White exploded into tears as soon as he learned he'd secured gold. “The score hit and I was just crippled with overwhelming joy and happiness. It’s such a long journey to get to this point,” he told TODAY's Savannah Guthrie and Hoda Kotb. The victory also comes just months after a crash during a practice run in New Zealand left him with 62 stitches in his face. Lena Zawaideh accused White of sending her “explicit and graphic images,” forcing her to watch sexually disturbing videos and making vulgar remarks, according to the lawsuit. During the news conference, White dismissed the issue as “gossip,” a word choice he told TODAY he regretted.